Please don't duplicate your posts. This is not a simple thing to do with the Excel export. You will need to use the format object of the exportOptions as shown in this example. 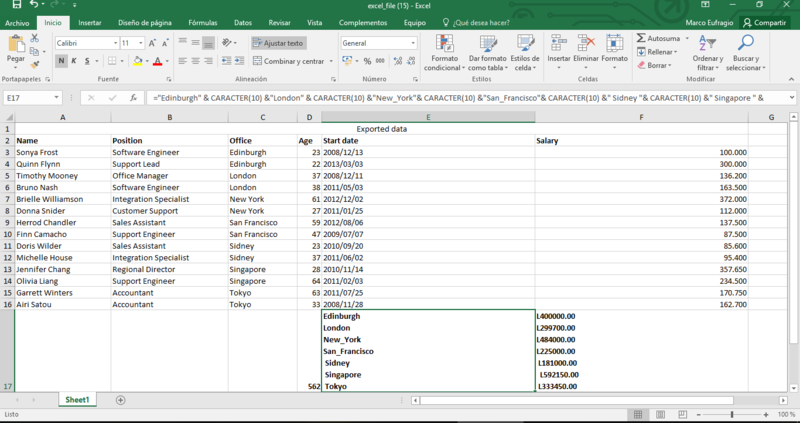 I have a discussion in this thread that shows how to replace newline characters to something that Excel will use to show line breaks. In your case you have <br> as your new line character. You will need to apply the same technique but to your footer instead of the body in my example. Sorry, I still can not solve my problem. Like I said its not a simple solution. Did you try the code provided in the thread I linked to above? For some reason char(13) didn't work so I changed to use char(10). 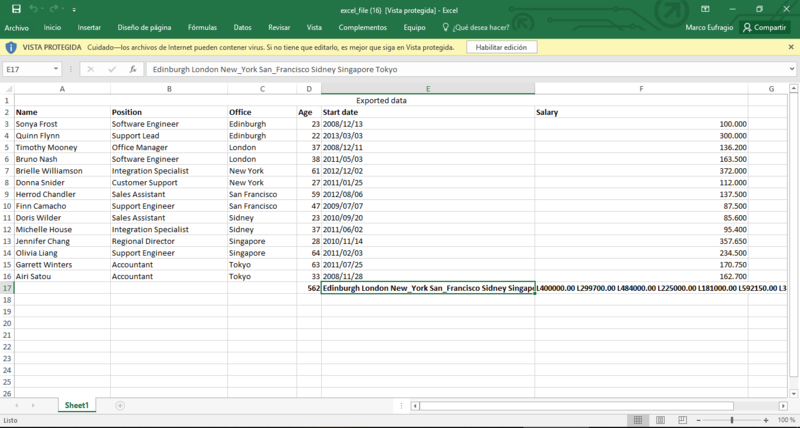 When using footer: function ( data, row, column, node ) the column parameter is actually the node, not the column number. Make sense since this isn't a normal Datatables row. Also changed the if in line 5 to look for a class ('newline') assigned to the footer column to only format the desired columns. Changed the row selectors in the customize function to row:last to only affect the last row which is the footer. Also added the code to set the row height for the last row.